Select Tortoise SVN → Settings from the TortoiseSVN popup menu in Windows Explorer. 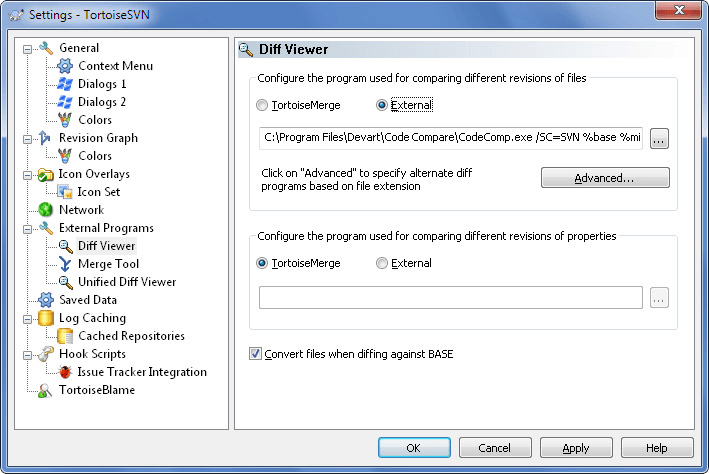 Select the External Programs → Diff Viewer page. 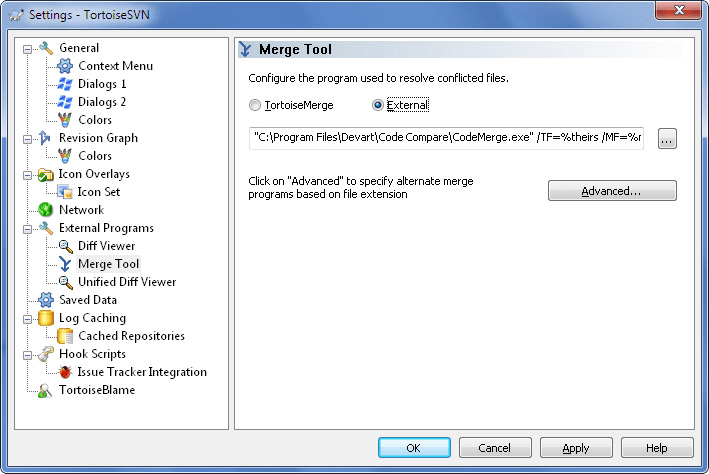 Open the External Programs → Merge Tool page.